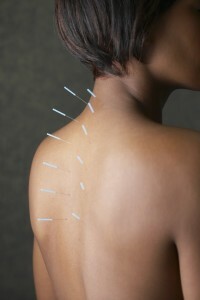 Acupuncture uses the insertion of thin needles at specific points to act as guideposts for healing. These guideposts help the body use its own mechanisms for self regulation to restore health.The needles used are sterile, disposable and as thin as a cat’s whisker. Often they create a slight tingling sensation at individual points but rarely is there pain or discomfort. After the acupuncture needles are placed, a period of rest allows the “qi” or energy to travel through the channels, mending areas of disharmony. 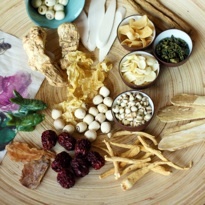 Herbal formulas aid in extending and enhancing acupuncture treatments. Daily use acts as a reinforcing agent, encouraging the body towards a healthier path until it is strong enough to take over on its own. Herbs rarely have side effects and can be taken as a tea, tablet or tincture. All herbal formulas used at Radiant Point Acupuncture have passed stringent lab analysis within the United States as well as China. This guarantees not only the proper herbal components but also that each product is free from heavy metals, molds and pesticides. The center of the body has a strong tendency to subconsciously store tension and emotional frustration. This tension accumulates over time limiting blood flow and creating stagnation. Abdominal massage works to unwind these accumulated adhesions allowing for better digestion, easier menstrual cycles, increased fertility and improved coping mechanisms for stress through deeper breathing.